This is the perfect gift for the woman in your life who spends a lot of time commuting in the car, running errands or chasing after kids and has everything. She probably doesn’t know that she needs the Car Cache, but believe me, after she has one, she’ll tell all her friends about the cool new car organizer that keeps her purse easily accessible and secure while she’s driving. Read my full review of the Car Cache. Tervis® is perfect for the family on-the-go and essential for those long road trips you may experience over the holidays. Proudly made in the USA since 1946, Tervis® allows individuals to express themselves with fun, colorful designs to fit every personality. Visit www.tervis.com to learn more. PLUS, Save 10% Off Your Order When You Sign Up For Emails! Read my full review of Tervis Tumblers here. Road Trip USA Eighth Edition is an essential guide for anyone who loves road trips. This pick up and go guide offers 11 detailed routes that will allow the reader to experience the very best of Americana through roadside attractions, parks, local history and lodging and dining that stand out in this mile-by-mile reference. Paired with a gas card or prepaid credit card, Road Trip USA: Cross Country Adventures on America’s Two-Lane Highways , is the perfect gift for that loved one that loves to hop in the car and explore. 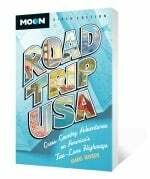 Read my full review of Road Trip USA (sixth edition). 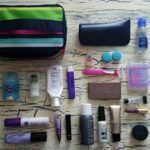 Single use toiletries sold in “pods” are perfect for the person on the go whether that would be flying (they are TSA approved) or road tripping. 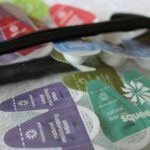 The travel size toiletries by Squeeze Pod are guaranteed to be leak-proof and made in the USA with premium, natural ingredients. Read my full review of Squeeze Pods here. I learned the hard way that when traveling to a foreign country, you really are doing yourself a disservice if you fail to learn some of the language before you go. Rosetta Stone was founded in 1992 and uses interactive technology to create a language immersion method for learners of any age. Rosetta Stone offers language software for over 30 different languages. This year, give the gift that individuals and families can enjoy all year long, America’s Park Pass, which grants access to our national parks while supporting some of America’s most treasured lands. To learn more about the National Parks and Federal Recreational Lands Pass visit www.nps.gov/fees_passes.htm. Map My State offers customizable, unique typography designs for those who love to showcase the places they love through wall art, coffee mugs, t-shirts and even onsies for the littlest traveler! Visit www.mapmystate.com to view their entire product line. I have been a fan of Thirty-One Products and use their products to help me stay organized at home and while I’m traveling and van camping. If you’re looking for durable products that can keep up with your busy lifestyle, check them out. You can read my reviews of my Favorite Thirty-One travel products here. The Inspired Vacation Journal is sturdy and colorful with adorable graphics. It also contains writing prompts, blank pages to sketch and 24 activities to keep your child learning and entertained while they record their vacation experience. The journal is available separately or with a pouch full basic art materials so your child has everything they need to creatively complete their journal. All this comes in a handy draw string bag that doubles as a backpack for easy storage. Read my review on the Inspired Vacation Journal Travel Kit or click here to purchase the travel journal. No one wants to think about bed bugs, but if you travel frequently they are a reality you may encounter, even in the nicest hotels. Now you can protect yourself with Avenger’s Bed Bug Spray Travel Pack which comes in a zippered pouch with one 8 oz. bottle of Luggage Spray and Bed Bug Killer. The Luggage Spray protects your luggage naturally and effectively, killing bed bugs on contact so they can’t slip inside your luggage with a special formula that is safe for children and pets. Order your Natural Bed Bug Killer Travel Pack today. Disclosure: I have sampled and tested each of these products. I purchased many of these items and some of them were provided for review purposes. I have added a few affiliate links which means if you purchase the product, I will receive a very small portion of that sale- at no additional cost to you. Thanks so much for supporting Travel Inspired Living! These are some great holiday gift ideas for travelers! We love to use Tervis at home and when we’re traveling. Great ideas! These are great gift ideas! Will add some of these to my list! 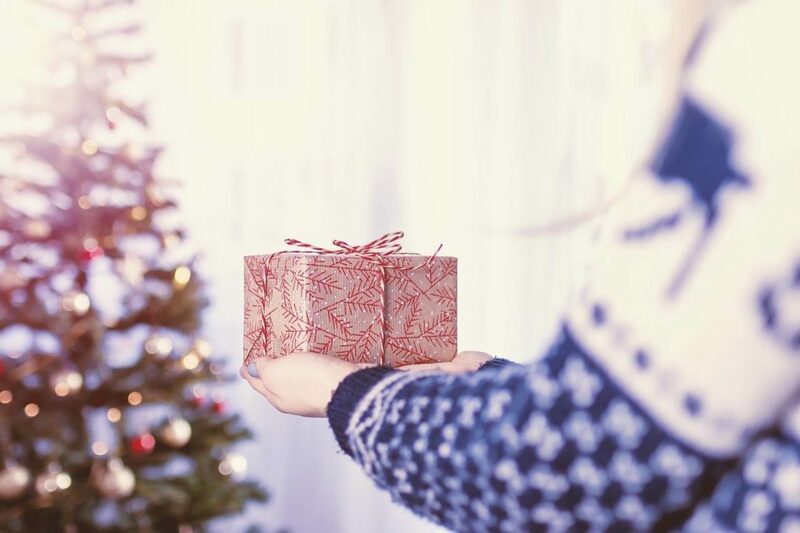 What some great ideas, I wouldn’t know where to start with gift ideas for travellers so it’s great to have some in mind now!